The homebirth midwife trusted birth and the baby suffered permanent brain damage. It appears, however, that this homebirth midwife carried insurance. Although it does not change the fact that their child is disabled, it allowed the parents to sue and obtain a large settlement that will be used to care for their son. Ara Flores delivered her first child at home with the assistance of Gale Aucott, a certified nurse midwife. 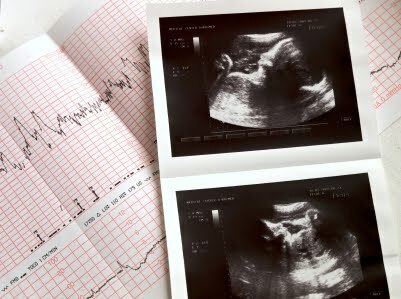 Aucott monitored Flores’s baby using a stethoscope and fetal doppler. After pushing for almost three hours, Flores gave birth to a son. He was born with Apgar scores of two at one minute and four at five minutes. Now 5, he suffers from permanent brain damage, seizures, and other problems. Flores and her husband sued Aucott’s employer, alleging Aucott failed to recognize and properly respond to fetal distress and failed to transfer Flores to the nearest hospital after she had been pushing for two hours. Among other claims, the plaintiffs asserted that Aucott should have monitored the baby every 10 minutes instead of every 45 minutes. Plaintiffs’ experts maintained that the Defendant mid-wife failed to appreciate a prolonged second stage of labor and that the mother needed to be transferred the nearest hospital once her second stage of labor approached 2 hours. Long second stages of labor are associated with increased fetal and maternal morbidity and mortality because fetal reserves may become low from the stress of prolonged labor and pushing. Plaintiffs maintained that long second stages of labor may be indicative of impending problems and the Defendant mid-wife failed to appreciate or react to the length of the second stage which was at minimum 2 hours and 47 minutes. The midwife did attempt to defend herself. The multiple defense experts opined that the second stage of labor was not too long and did not necessitate that she be transferred to the nearest hospital. A neuro-radiologist expert for the defense also maintained that the child’s neurological insult occurred several days before the birth. Finally, the defendant’s obstetrical expert testified that because the home birth did not include the use of electronic fetal monitoring it was impossible to know whether the baby was in a hostile intra-uterine environment and required an emergency cesarean section. There you have it, folks. A homebirth midwife declared that she did not know that the baby was suffering from a lack of oxygen during labor because it is impossible to tell with only intermittent auscultation. If you really want to know if a baby is in distress, you have to use electronic fetal monitoring. ← What’s the difference between scientific research and midwifery research?